KEN YUSZKUS/Staff photo. 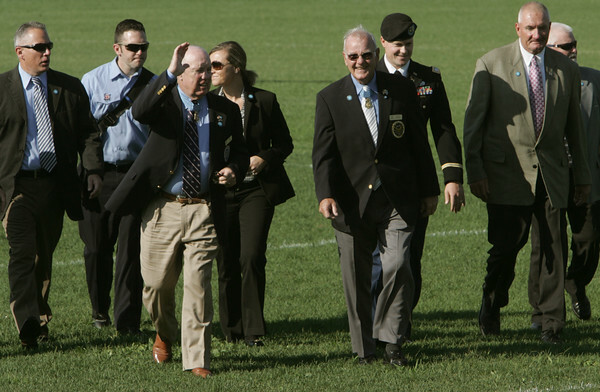 Front row, Congressional Medal of Honor recipients James Taylor, left, and Robert Patterson just arrived at Beverly High School by helicopter. 9/16/15.